The empty corners of an apartment are easily the most neglected parts of most homes. This is largely because these strange and awkward little spaces are the trickiest parts of the home to design. They can be hard to reach, far from the natural traffic zones of our homes and corners are often blocked by larger pieces of furniture. Despite all this, empty corners are a valuable resource that should never be overlooked. Even the tiniest bit of floor and wall space can be transformed into a valuable and even beautiful little part of your home. This is particularly true for those with small apartments. When you are short of valuable floor space, even the smart use of a corner wall can have a transformative effect on your home. So how can we best use the empty corners in an apartment? Come with us to explore a few ideas; from small storage solutions, to wonderful display ideas and cosy little nooks for one. Get ready to be inspired! 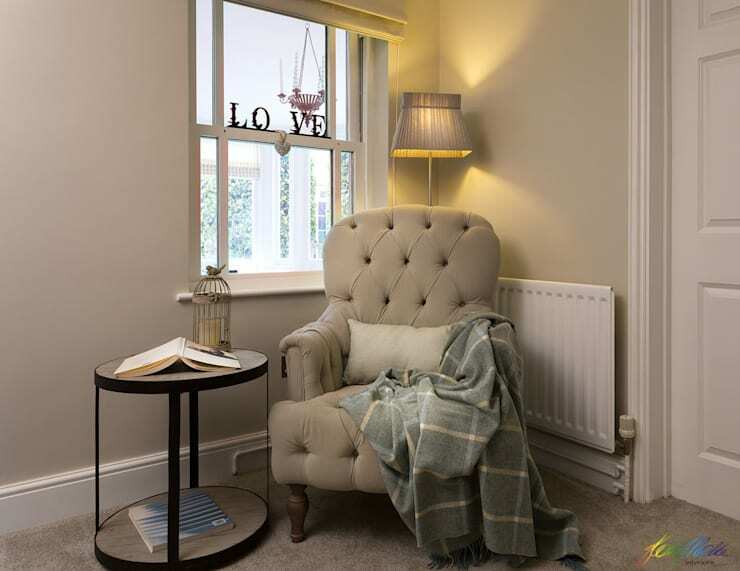 For those who read old-fashioned paperbacks or love their e-readers, a cosy reading corner is a lovely elegant addition to any small home. A dedicated reading nook will encourage you to take that time away from passive entertainment and into the richer, inner world of reading. Invest in a good lamp with adequate lighting to avoid eye strain, and perhaps add a few comfortable cushions and some shelving for your reading matter. 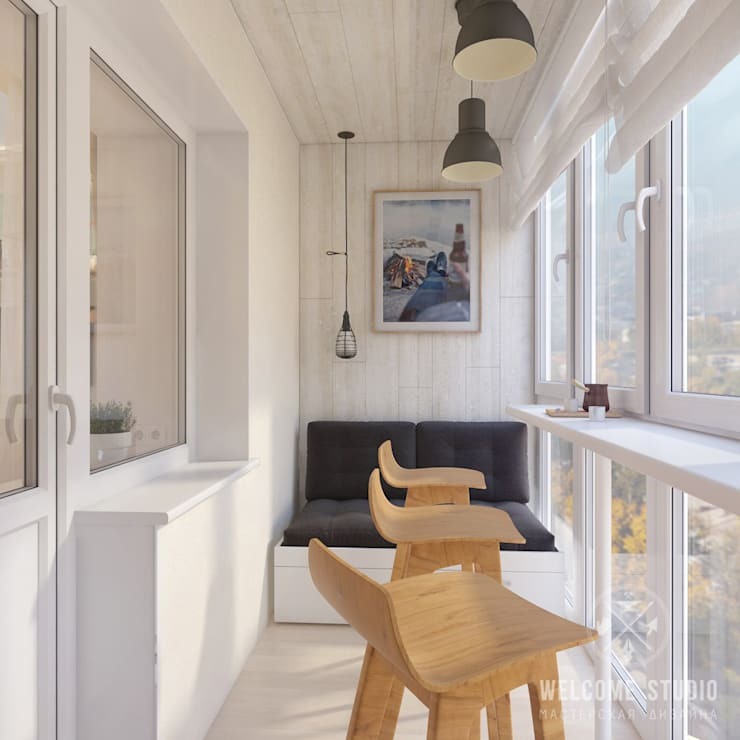 Many people searching for a way to use the empty corners of their apartments are facing the familiar battles of small apartment living. One key concern for small apartment dwellers is visual clutter. For this reason, floating bookshelves as seen here are a great solution. The white, floating shelves have minimal cabinetry and blend into the walls. They do little to disrupt the visual movement in the room. Even better, the addition of bright, beautiful trinkets or books tends to lead our eye upwards and expand our sense of spaciousness in the room. The idea of sitting down to work from home isn't always appealing and the idea of squeezing yourself into a little-used corner may not help the matter at all. 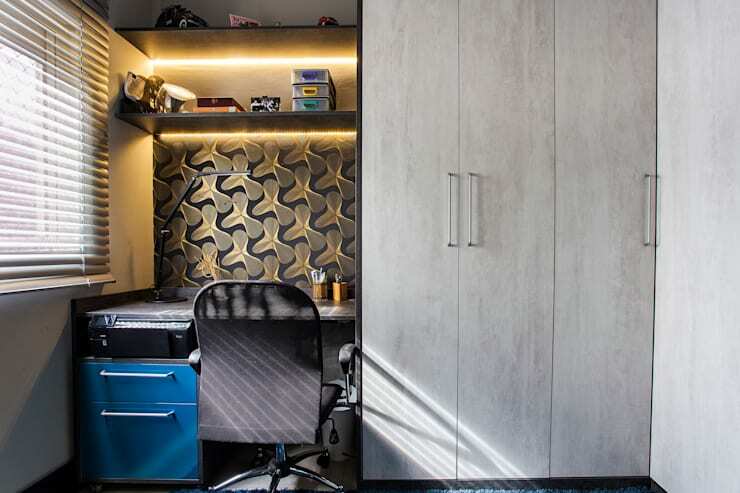 But as seen here, some warm and dedicated strip lighting can turn a simple corner office into an incredibly attractive space. The best part is that the area above the desk is the perfect place to store books and stationary. Don't forget to add a desk lamp too. There's no doubt about it, the shape of the spaces we inhabit have a powerful effect on how we relate to each other. And so, we reckon that a cute little corner sofa is a great place for long chats. A little cosy corner like this has room for two and offers the perfect sense of intimacy. But even if you are on your own, a cosy couch might be the perfect place to escape the television and hunker down for a good old catch up over the phone. These days most urban lives are bereft of a little greenery and we feel that every apartment could do with a little indoor garden or greenery. 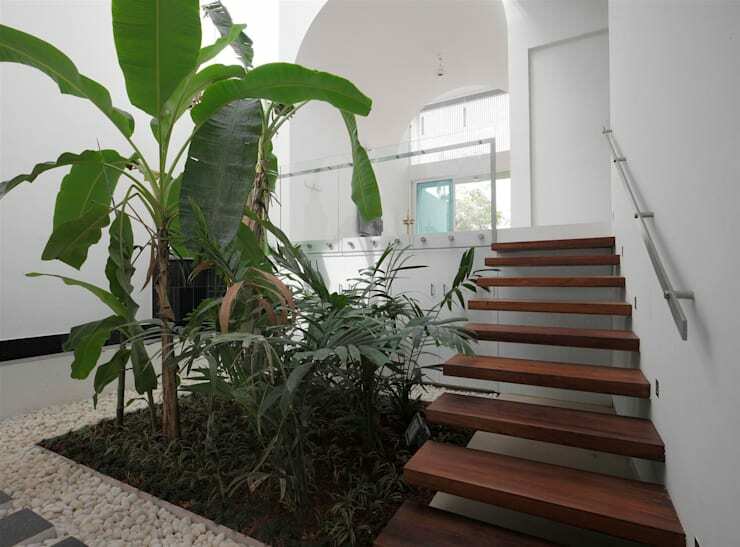 This beautiful little indoor garden is a great way to maximise the corner beside these stairs. But if you don't have a large space like this, a small arrangement of pot plants is a great alternative. The organic shape of plant leaves will really soften up the harsh angularity of a corner. To really amp up the effect, gather together an arrangement of plants of varying heights. Let's face it, your laundry is rarely the most aesthetically pleasing part of the home. So why not hide it away behind a tall cabinet. Something like this tall cabinet might suffice. 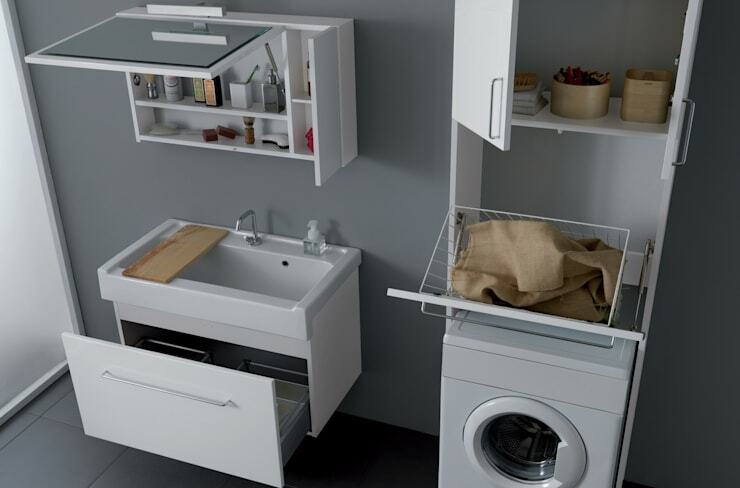 The storage units above the washing machine are a perfect place to store cleaning solutions and of course, a fold out cabinet like this could also hide the dirty laundry! If you are interested in small home solutions, you would love this Ideabook Clever storage ideas for smaller homes.